Most businesses prefer to install carpets in the commercial settings. This is because carpets prove to be extremely durable in the high traffic zones. The robust and hardwearing properties of the carpet can withstand the longevity duration. You may not even see the dust and allergen accumulating in them with naked eyes. However, your stakeholders, vendors, employees, and contractors will experience allergic symptoms if you do not follow a routinely carpet cleaning schedule. The reason why hot water extraction is recommended by most manufacturers is that it is capable of cleaning the carpets more thoroughly. Most of the other carpet cleaning methods only clean the surface and do not penetrate deep into the fabric. So basically even if you think that your carpet is clean, it will still be polluted. Unclean carpets will be detrimental to the longevity. 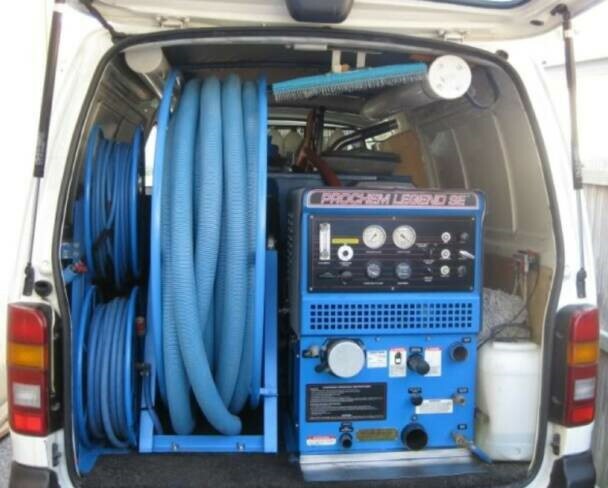 Hot water extraction has numerous benefits apart from cleaning the inner surfaces of the carpets. This method is also highly effective in removing the smelly odours of smoke, smells, and deep-rooted stains. Hot water extraction does not make use of any toxic cleaning agents. On the contrary, other carpet cleaning methods use harsh detergents and cleaning agents to cleaning agents. These methods can cause harm to the people who interact with the harmful cleaning agents. Hot water extraction is an eco-friendly way of making the carpets free of dust, allergens and germs without risking the health of the people. The high temperature of the water disinfects the carpets and is a much gentle solution for cleaning the commercial carpets. The end result of the hot water extraction is satisfactory. Whenever the carpets are cleaned with the help of shampoo and dry cleaners, residue is bound to remain there. Sometimes, it is even hard to eliminate the strong smell of these cleaning agents. As opposed to other carpet cleaning methods, hot water extraction is not just an effective alternative — it virtually leaves the carpets residue-free. Hot water extraction requires extreme precision for carpet cleaning. Therefore, it is important that you choose a company for the service to make sure that your carpets do not get damaged by lack of efficiency and caution. The technicians and professional cleaners at Extra Hands Cleaning Services make use of state of the art tools and equipment. They have years of carpet cleaning experience and the commercial cleaning services will make your facilities absolute spick and span, adding to the appeal of your building.